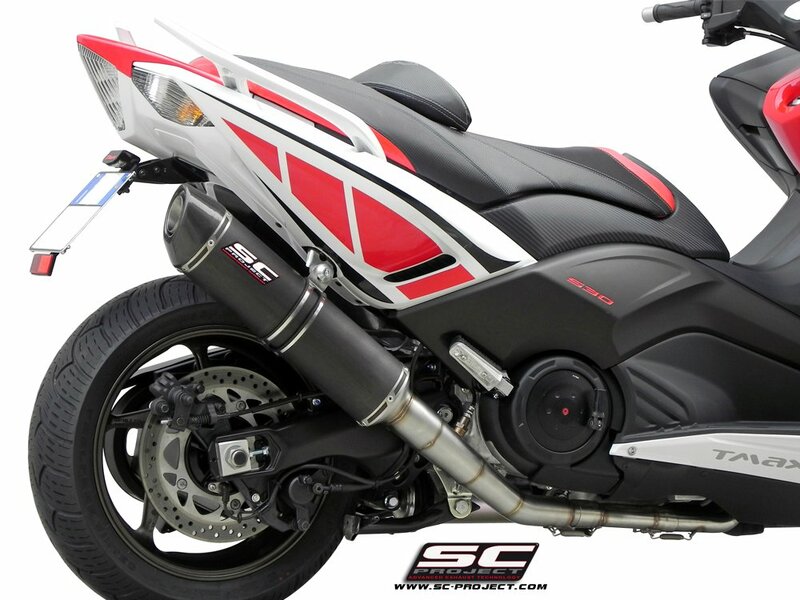 Yamaha TMAX Full system exhaust by SC-Project. 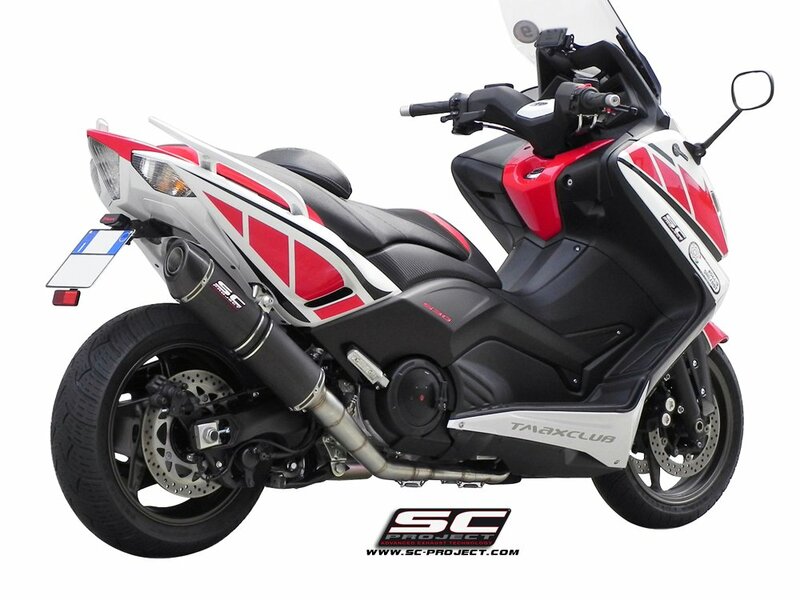 Everything to install the exhaust on the Yamaha TMax 530 motorcycle is included: 1 silencer, 2-1 collectors, 1 stainless steel clamp with the rubber, springs and screws, high temperature stickers, CEE homologation card specific for the motorbike model. 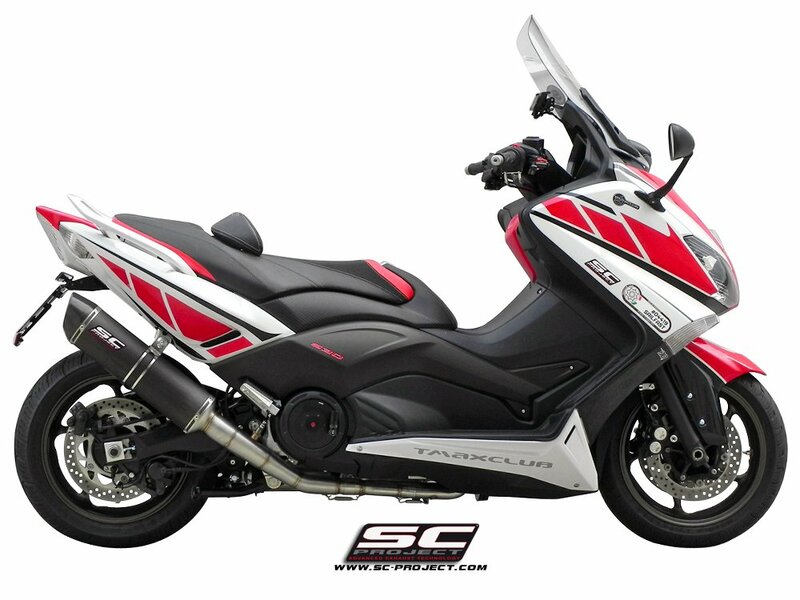 Street legal version according "EU" regulations. DB Killer removable to modify from street legal configuration to aggressive racing configuration. 24 months SC-Project official guarantee. 100% Made in Italy. The oval silencer is a muffler of the highest quality and it is characterized by an elliptical and compact structure with a unique design of the end cap in carbon fibre, providing a perfect fusion of elegance with a highly aggressive attitude. 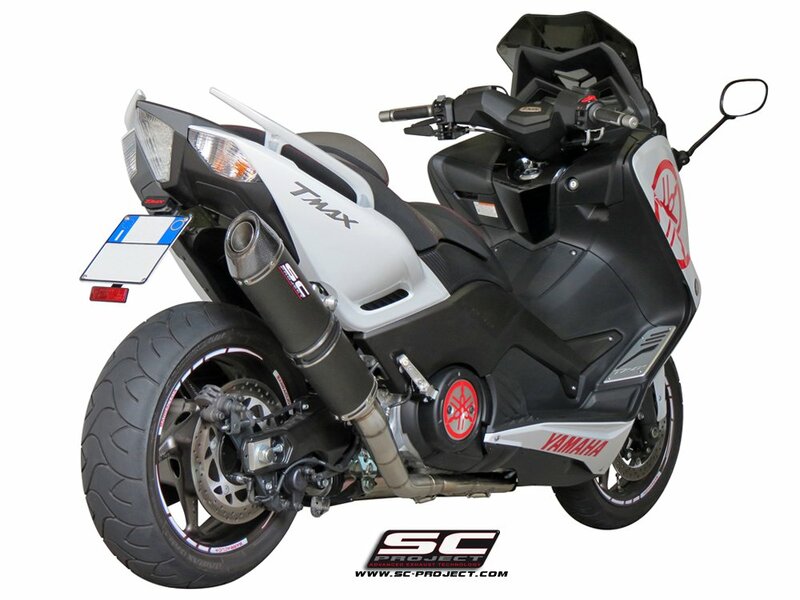 The body of the silencer is available in titanium or satin black AISI stainless steel with a unique and high reflective finish. All materials are extremely light, constructed of the highest and exceptional quality, with the fundamental characteristic of durability. Special sound attenuators inside the silencer guarantees the long life of the silencer and the break down of the noise therefore lasting long into the future. The perfect fusion between design and technology.